Yep, we usually start the contest for the new layout 2~3 weeks before the release date. It'll commence around next week if I'm correct. I think the newest layout is my favourite one so far. Good job. 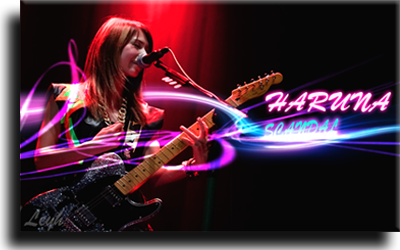 ToHaRiMa=SCANDAL is The Best Band Of The WORLD!!! It's cool to see how SH has kinda evolved over time. I really like the R-Girls Rock layout. How nostalgic.. time passes really fast. 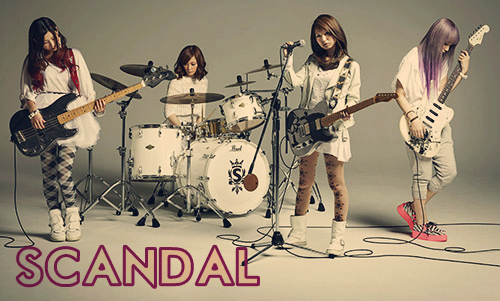 SCANDAL the best all girls band ever ! RINA — I may make a mistake, I may be unable to do it, and I may lose heart..
but I think it is wasteful if I stopped because of such a thing.. I want to steadily change tomorrow by myself ! great band with great cover/layout too ..
Can someone update this? We're missing EC, AwaYsuGen, Kagen no Tsuki. damn everything changed so fast ! Great Job. I really like it. actually if i didn't remember wrongly, wasn't there another layout in between BA and SS? I don't remember the SS banner around since November, because I joined in December and I did attempt to make a SS banner which I didn't submit in the end. I remember a banner with 4 cartoon versions of the girls dressed up as canta, doraemon, dino and something else which i can't remember. it was around the period when i first joined SH. @metalleo: Yeah, that's correct. It was SH's 2nd year anniversary layout. In the banner TOMO was dressed as Doraemon, HARU was Cinnamoroll, RINA was Dai-chan, and MAMI was CANTA. thoseguiltyeyes wrote: @metalleo: Yeah, that's correct. It was SH's 2nd year anniversary layout. In the banner TOMO was dressed as Doraemon, HARU was Cinnamoroll, RINA was Dai-chan, and MAMI was CANTA. Where can I find the picture of that banner? Please?? I would love to see that? 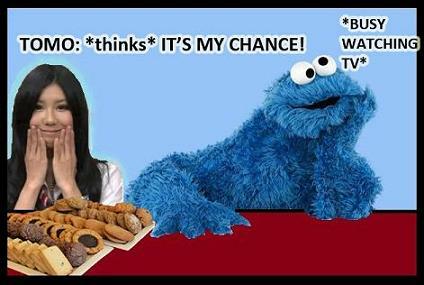 No cookies are safe from Tomo! I better guard mine! Wow, it is truly amazing ! Some Japanese friends said it looks just like a real SCANDAL forum so I said excuse me it is a real SCANDAL forum with 11974 registered members and they were even more impressed ! A great job as always.